In the newest release from Concordia Publishing House, The Unholy Trinity: Martin Luther against the Idol of Me, Myself, and I, Rev. 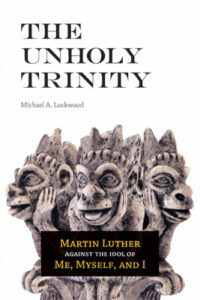 Dr. Michael Lockwood draws upon Martin Luther’s key insights on the theology of idolatry in order to unmask contemporary idol worship and its futility. Read the following Q&A with Dr. Lockwood to find out more about him and his new book. I am pastor of Redeemer Evangelical Lutheran Church in Toowoomba, Queensland, Australia. 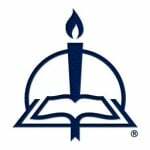 I also serve on the Commission of Theology and Inter-Church Relations (CTICR) of the Lutheran Church of Australia. My life has straddled three countries: Papua New Guinea (where I was born to missionary parents and spent my elementary school years), the United States (where I have lived on three different occasions), and Australia (which I consider to be my home). I am married to Naomi, one of the saints of God, who has taken time off from her work as an elementary school teacher to homeschool our two boys (Asher and Jadon) and also to care for the children of others. In my spare time, I play the guitar, walk, swim, and cycle. What prompted you to write The Unholy Trinity? My interest in the topic of idolatry first stemmed from an interest in evangelism. I wanted to understand the contemporary Western world and its resistance to the Gospel, so as to be able to proclaim the Gospel more effectively in this context. The first step in proclaiming the true and living God in any culture is to dethrone the idols of the culture, which otherwise deceive people into thinking they have no need for Christ. This is just as true in secular Western culture as in any other. The secular nature of our society actually makes the study of idolatry more vital than in overtly religious cultures, since the idolatry is more hidden and therefore needs to be unmasked. In our culture, the idols hide out in the open. They are there for all to see, yet they purport to be merely secular and thereby hide from us the spiritual role they play in our lives. Define the “unholy trinity” and its opposition to trust in the one true God. According to Luther’s interpretation of the First Commandment, anything we fear, love, and trust more than God is effectively our god, whether we think of it as a god or not. And who do we fear, love, and trust more than ourselves? In the selfishness of our sinful nature, we love ourselves, in the sense of wanting the world and even God to revolve around us and our desires. In our sinful pride, we want to be able to trust in and boast of ourselves, including our own strength and righteousness and wisdom. Then, as a result of our self-love and self-reliance, we suffer performance anxiety as our fear becomes bound up with ourselves and our ability (or lack thereof) to measure up and to secure for ourselves the things we covet. This idolatry of the self is not merely one form of idolatry amongst many, but the central idol that drives other forms of idolatry. We latch onto other idols because we think they will fulfill our desires or deliver to us the power and security we crave for ourselves. Was Luther the first to illustrate idolatry in this manner? If not, what new perspectives did he bring to the table, or how did he communicate this message differently? As I attempt to show in The Unholy Trinity, this way of looking at idolatry goes back to Christ and to the biblical apostles and prophets. Nevertheless, it has been an area of biblical teaching that has been largely neglected in the history of the Church. In particular, the Church has frequently denounced obvious external idols such as pagan gods of wood or stone, but then failed to address the hidden idols of the heart. The way that Luther can serve us is through his ability to draw this area of biblical thought together in a cogent manner and then to apply it to the human heart and to show us how this impacts every area of life. You address the unholy trinity of me, myself, and I through a study of the articles of the Apostles’ Creed and thus each person of the Holy Trinity. Briefly describe how our pursuit of “self” supplants God the Father, Son, and Holy Spirit in our lives. Whenever we fail to fear, love, and trust the true and living God, we are compelled to construct idols to put in His place. God plays too big a role in human life for us to be able to leave Him out of the picture without constructing something to fill the void He leaves behind. Yet what we are trying to compensate for is not a generic god, but the triune God, who leaves a triune-shaped hole in our lives. Therefore, when we turn our backs on Him, we are compelled to find substitutes for Father, Son, and Holy Spirit, and our idolatry may look very different depending on which member of the Trinity we are trying to compensate for at the time. For instance, many people use money—or more precisely, the ability of money to acquire human goods and services—as a substitute for the Father and His work of providence. They say to themselves, “As long as my wallet is fat, it will provide everything I need for my earthly life, and I don’t need the Lord to provide.” Yet such an idol cannot help us when it comes to other areas of life. In relation to the Son, it looks more like this: If we will not allow Christ to justify us with a righteousness that is not our own, we will forever be compelled to try to justify ourselves and will therefore turn our own righteousness into an idol that we put in His place. Then, in relation to the Holy Spirit: If we will not allow Him to enlighten us through the Word of God, we will forever be compelled to enlighten ourselves and will turn our own wisdom into an idol that we put in His place. In a society that prides itself on self-sufficiency and pulling itself up by the bootstraps, why is this perspective deadly in terms of spiritual life? It is deadly for the same reason all idolatry is deadly, and that is that it is ultimately futile. No matter how much we deceive ourselves, our idols cannot save us. The same is true of the idol of human strength that underlies our illusion of self-sufficiency. None of us are self-sufficient. Whatever strength we possess is God-given, and all our labor can only achieve anything if God blesses it. What is more, at some point it will always come to an end so that we are forced to recognize our need for true divine aid. If God is merciful to us, we will wake up to this before the Last Day, when it is too late for us to repent. How do Christians protect against idolatrous choices in their lives? By daily taking refuge in the true and living God. Only He can free us from our idols. If we think we can free ourselves, we are still in the grip of the idol of self-reliance. Sometimes God does this whether we like it or not. He exposes the futility of our idolatry by allowing our idols to fail us so that we learn the hard way that they were not worth trusting in the first place. Yet even more so, God works through His Son and through His Spirit, who come to us now through His Word and His Sacraments to work in us true faith in Him. Therefore, relying on Him and allowing Him to liberate us from our idols does not mean sitting on our backsides and doing nothing. Instead, it means prayerful dependence on Him and His Word so that through it, His Spirit can speak true faith into our hearts. What insights into Luther’s theology as a whole did you gain from this focus on his thoughts on idolatry? How can this new perspective be profitable for the scholar, the pastor, and the layperson? The main value of studying this area of Luther’s thought is that it can help to sharpen our application of Law and Gospel in our preaching, teaching, and pastoral care, as well as in our everyday relationships with one another. If we only ever use the Law to expose shallow, surface-level sins and not the deep idolatry of the heart, then our application of the Gospel will also be shallow and will only lead to a shallow form of repentance and faith. Only when we address the deep, misguided faith that drives people’s lives can we speak the Gospel into the depths of their hearts. This is ultimately a joyful thing to do. Idols always enslave us and reward us poorly for our devotion to them. Therefore, whenever we expose another idol, we open up a new avenue for freedom and joy through Christ. Most scholars contrast Luther’s theology of the cross with the theology of glory without realizing that “theology of glory” was just an expression Luther used at one brief stage of his career and then never used again. For the rest of his career, he talked about idolatry instead. If we fail to see that the most significant contrast for Luther is between the theology of the cross and idolatry, then we will fail to understand fully this important aspect of Luther’s thought. Unless we see that the opposite of justification by faith for Luther is not simply works-righteousness, but any form of self-justification, we will fail to see why Luther lumps legalists and antinomians together as enemies of Christ and His salvation. If we fail to see Luther’s concern with how easily human reason gets turned into an idol, we will fail to understand why Luther can praise reason with one breath and curse it with the next. The Reformation was essentially a battle against idolatry, which the reformers believed had corrupted the Church. Unless we understand how Luther’s theology of idolatry differed from that of other reformers like Calvin and Zwingli, we will never fully understand why his reform took a different turn from theirs. Download a free excerpt from The Unholy Trinity.